Gryphons across all Realms gather into flocks called Flights. Few of these are large enough to take notice of, but a select few are quite large indeed. Ritualistic, proud and a force to be reckoned with, these Flights can be seen and explored below. 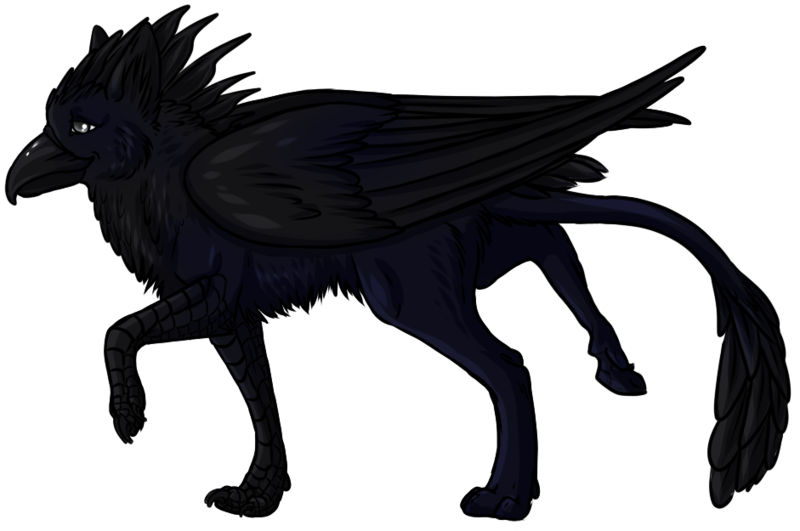 Settled in the vast forested mountains of Alubria, the Anarya is a Flight of gryphons. Consisting primarily of a mixture of Grandmane, Sleekwing, and Mixblooded gryphons, the occasional sky'ree and hippogryph may be seen. The Flight is led by Adair, and is perhaps the most respected and acknowledged in all of Felnova. Aran'raa;; The male leader of a Flight. He is responsible in upholding Flight laws, leadership in battle, and general overseeing of various inner workings. Usually gifted with wisdom and strategic knowledge. Generally the strongest or smartest male, though often passed by blood to a selected heir. Tari'rae;; The female leader of a Flight. She is responsible for coordinating with her Arfae, Arfaern, Far'cora and Far'cai. Works to train the young alongside the elders, and helps lead many hunts. Often just as fierce in battle as the Aran'raa, the Tari'rae is his second-in-command in everything. When there is no Aran'raa, she may take his role. Arfae;; The male hunting leader. Coordinates hunts and the capture and killing of prey, as well as the bringing of and storing of food in the Flight. Usually takes his hunting parties out at night. Arfaern;; The female hunting leader. Holds the same power as the Arfae. Usually takes her hunting parties out during the day. Far'cora;; Secondary male hunting leader, and chief advisor on rituals and premonitions. Far'cai;; Secondary female hunting leader. Looks after the ranks of the Flight's members, and advises when the young are to be tested and readied. Often coordinates when one member may be promoted, and oversees all rituals of exile and acceptance. Farien;; The hunters of the Flight. Led by the Far'cora and Far'cai. 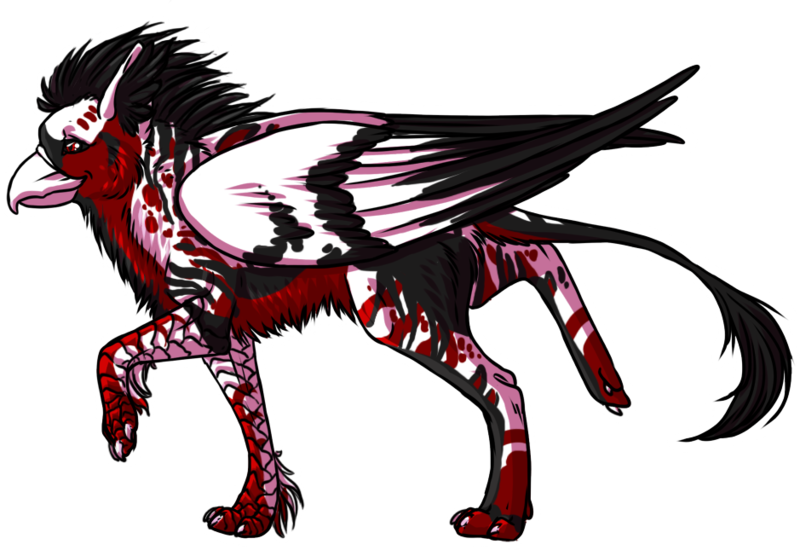 Yaarae;; Are elder gryphons no longer responsible for hunting or fighting. They stay at the Flight's home and look after young; many become mentors to those who wish to learn. Astalde;; Are warriors tasked with guarding the Flight and patrolling her borders. Val'istar;; Are magic-workers who fight alongside the Astalde. Utilize magic over anything else, and are capable of using that magic offensively. Elenea;; Are magic-workers who are the healers of the Flight. Utilize magic to heal the wounds of all those injured. In addition to these ranks, the Flight has those too young to be classed as any particular group, and those members who have no real place. 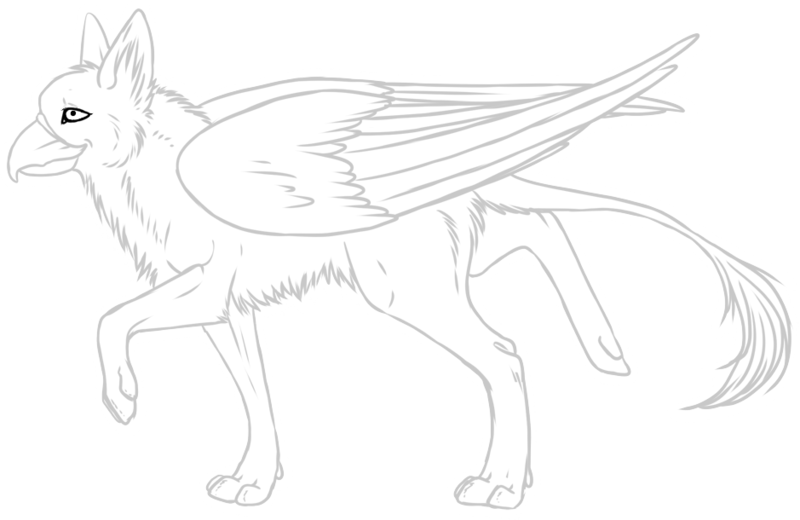 Adair is a she-gryphon who is the current Tari'rae of the Anarya Flight. Though she is a Demonic Reaper - a devourer of souls, half a demoness herself - she is well respected and loved by those she leads. She is fiercely protective of her Flightmembers, dedicated to protecting those she loves and cares about. Any who threaten that peace is subjected to the wroth of her darker side: that of Rathamoria, the demoness that lurks within. 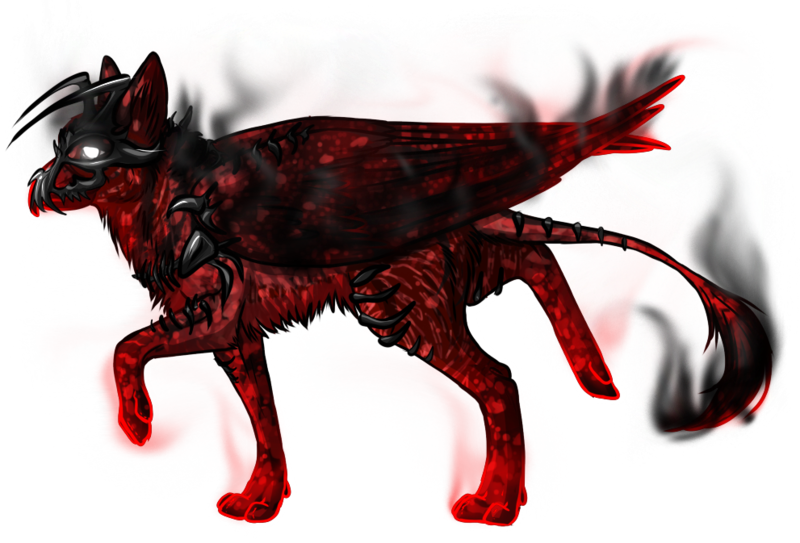 Once the proud leader of his own Flight - that of the Kotuss - his entire clan was massacred in the last Demon War. Found as a wanderer, he was taken in by the Anarya, and now serves as the Far'cora. 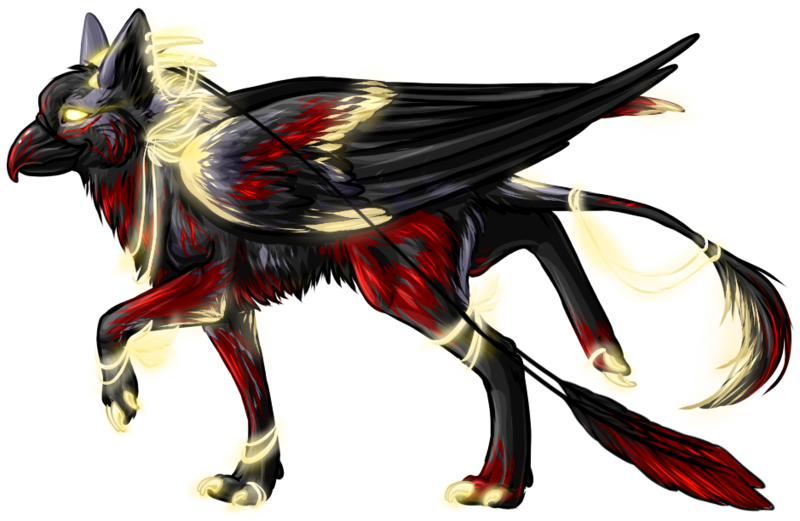 He is a fatherly gryphon with a love of gold and jewels, empowered with the ability of magic-induced alchemy. A prime example of a dark appearance and dark powers not marking one as evil, Erebus is easy-going and slow to take offense. However, while he would much rather make a new friend than a new enemy, he is a fierce foe in battle, fighting equally well with both talon and magic, willing to use nearly any means necessary to destroy threats to his Flight. Rav isn't the most adept fire thrower in the Flight, but he does his best to multitask so he can help protect his home. When not throwing small fire balls at intruders, the large gryphon makes small metal trinkets to trade or give to friends and family. His conversation abilities are slightly impaired, but he wants to tell his friends how much they mean to him. He even has a delicate piece wating for a certain special someone, should they ever make themselves known to him. He may seem a little jumpy or slow on the ground, but he'll happily take a quiet flight with anyone. One of the few that survived the massacre of Zeroff's Flight. Terror is a demonic gryphon who was nearly consumed by his dabbling in the dark arts - but now he's learned to master it, with an unwholesome price. He suffers from periodic post-traumatic stress, due to Noamuth's influence, and hasn't had contact with many since that day. Coding and layout credited and copyrighted to Blazeh (verridith) and Camyza; content copyrighted to By Tooth And Claw Dragons, 2003-2019. Credits to content submissions - such as miscellaneous information and artwork - will be located here.